The lightest weight, fully waterproof, fully insulated jacket uses waterproof/breathable GORE-TEX® and Arc'teryx exclusive Thermatek™ insulation. Fission Series: Insulated weatherproof outerwear | SL: Superlight. 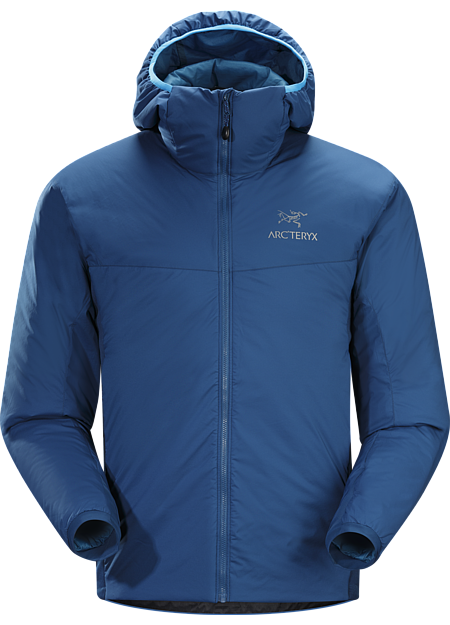 Serious mountain travel requires an insulated piece with exceptional warmth-to-weight value. 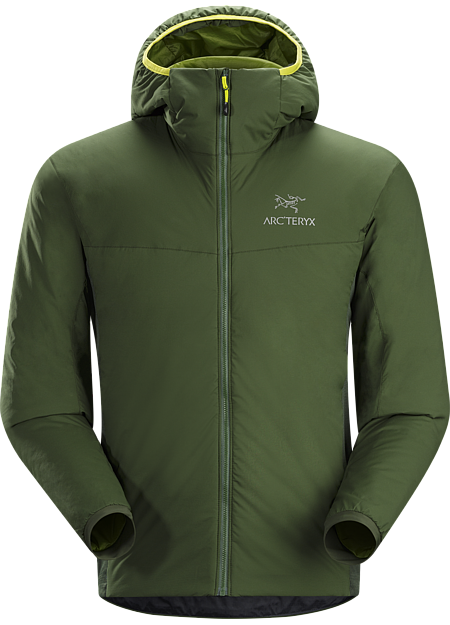 The Fission SL is our lightest, fully waterproof, insulated jacket that is outstanding in cold wet weather. GORE-TEX® full storm weather protection is teamed up with our exclusive laminated ThermaTek™ non-quilted insulation. The result is evenly distributed warmth that can stand up to anything. No cold spots. There are times when you're working hard but you can't or don't want to remove your insulation. Pit zips let you vent heat rapidly, extending usability on cold days. The insulated StormHood™ takes care of wind and storms with a fully secure, helmet compatible shelter. Often this is the at base camp or sitting out a storm piece, so we've included two zippered hand pockets, two internal mesh dump pockets, WaterTight™ Vislon centre front zipper, and an invaluable hem drawcord that allows you to really bunker down and have what you need at the ready. 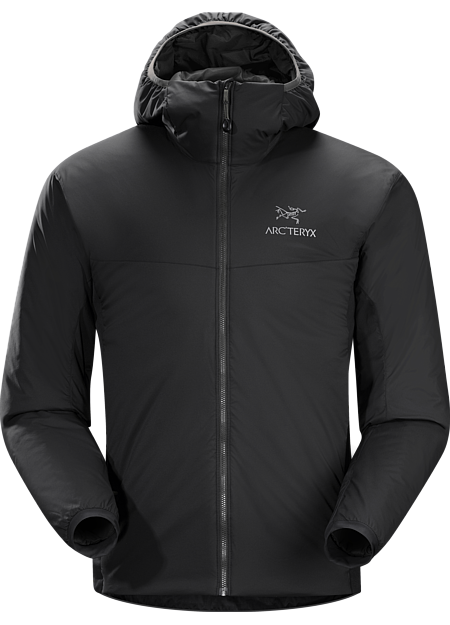 The Arc'teryx helmet compatible Stormhood™ is designed to provide the ultimate protection in cold or wet weather. The laminated brim and hood adjusters secure tightly and deliver full coverage without restricting movement or visibility. 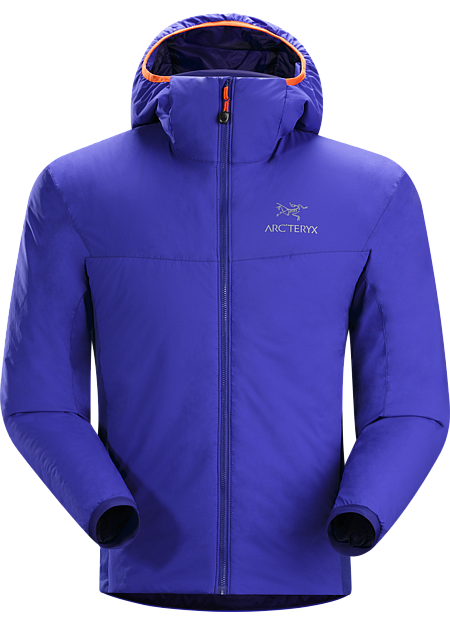 Exclusive to Arc'teryx, Thermatek™ is a continuous filament, synthetic insulation that is treated with DWR (Durable Water Repellent) to make it hydrophobic, which means that it repels moisture very efficiently. The lofty insulation is then laminated to a backing fabric to ensure an even distribution and insulation. 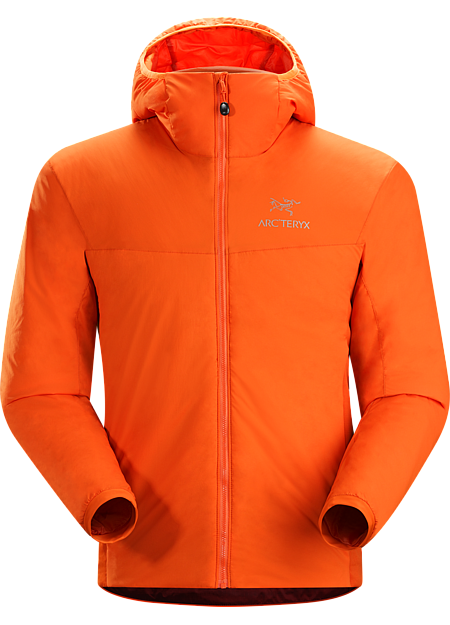 Insulated, windproof, waterproof outer layers. 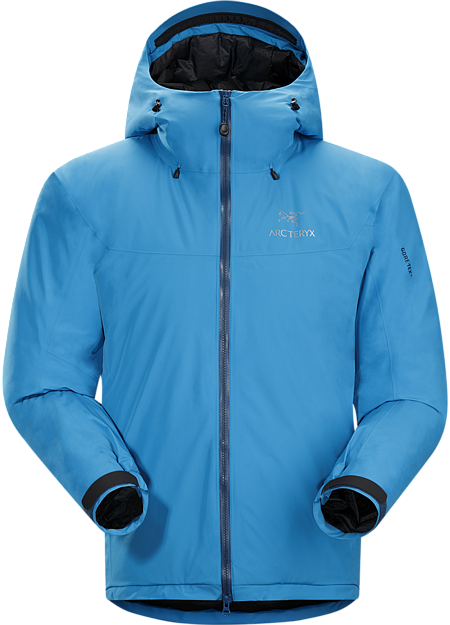 Uses the lightest weight materials available to provide high weather protection, performance and/or packability, but with the right amount of durability. ThermaTek™ 2.7 oz—100% nylon face, 92 g/m². 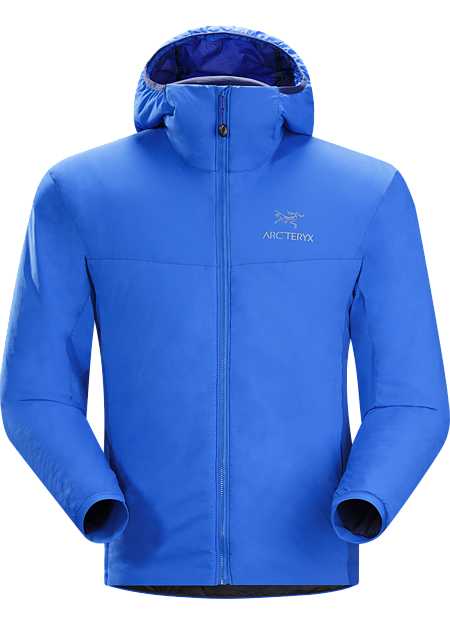 Comprised of a high tenacity 30 denier nylon fabric laminated to a 2.7 ounce continuous fibre fill insulation which is then completely immersed in DWR (Durable Water Repellent) treatment. This jacket looks so cute in the picture, but the fit is weird. It's very tailored in the waist and hips. Also, there's no soft lining so it feels like rubber against your skin. I wanted to love it, but sadly it's going back.